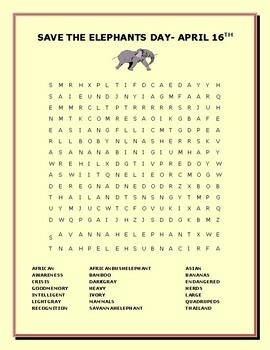 This word search gives us a reminder about the endangered elephants on our planet. Much help is needed to save these large mammals, which are very intelligent! Thanks for visiting!